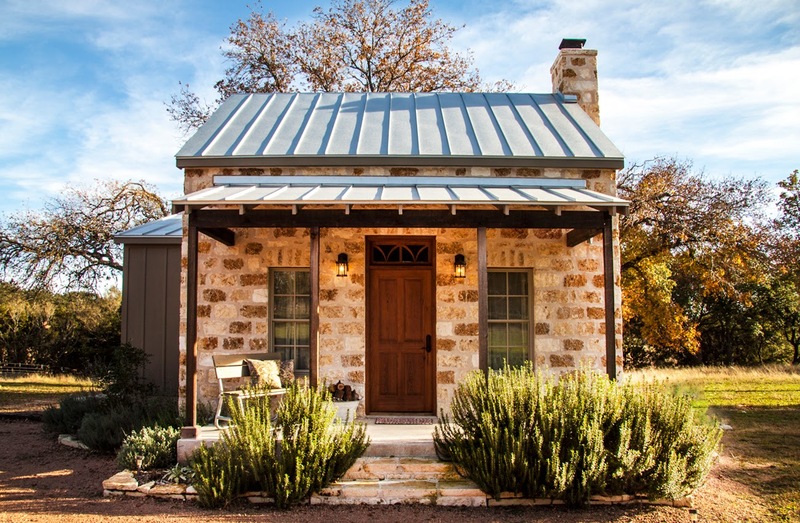 Inspired by the rustic Texas Hill Country, Paloma is anything but roughing it. The king sized iron bed is inspired by European antiques. Luxurious vintage washed Italian cotton sheets and quilts are simply dreamy. 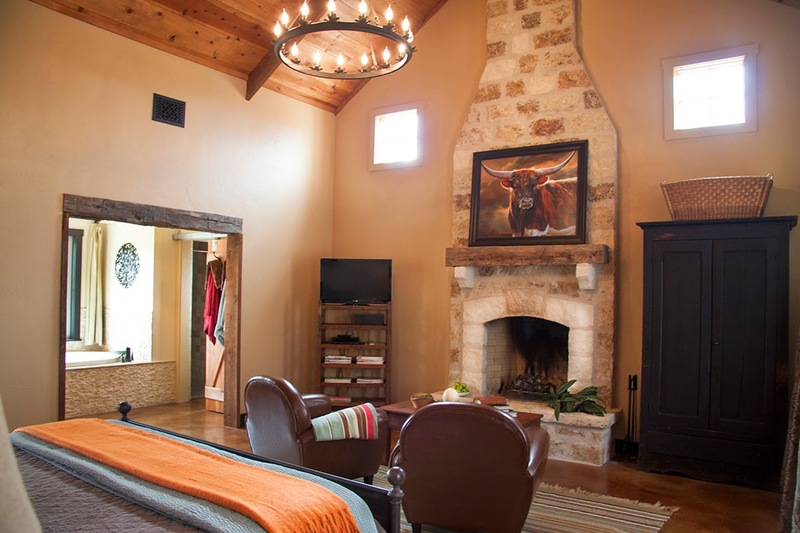 A pair of club chairs flank the pioneer style stone fireplace. Above the fireplace, a giclee created by a talented Texan pulls together ranch traditions through an array of playful colors. The original hangs in a stadium skybox at your hostess’ alma mater in Austin. 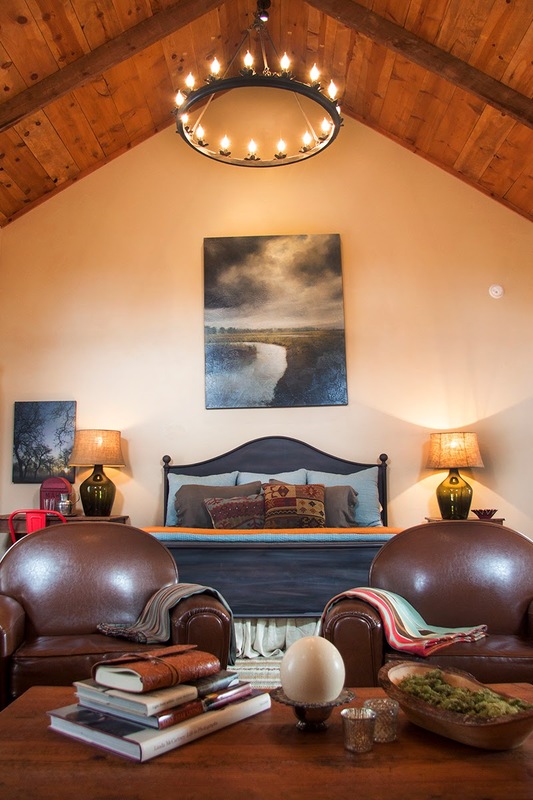 Throughout the cabin you’ll find reclaimed wood furniture made by local artisans. 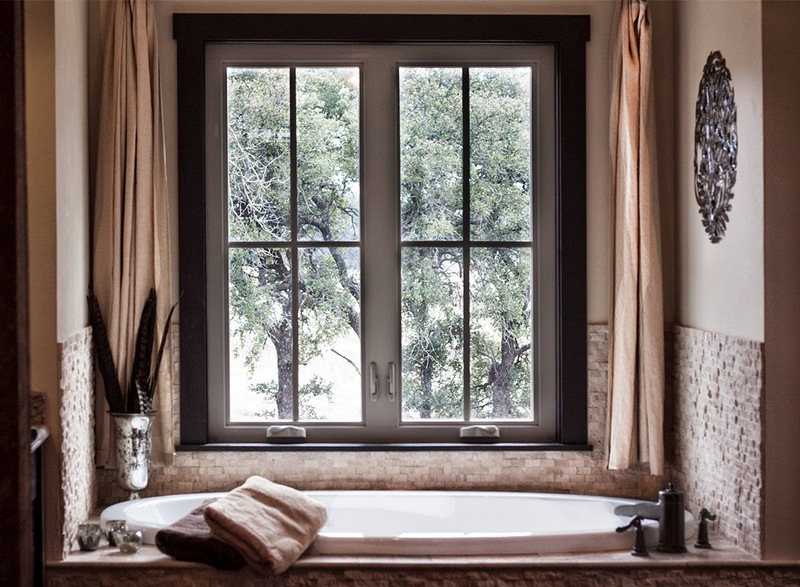 A picture window over the whirlpool tub for two overlooks the countryside and creek below. Thick, fluffy towels wrap you in luxury. A custom tiled shower has a massaging river rock floor. 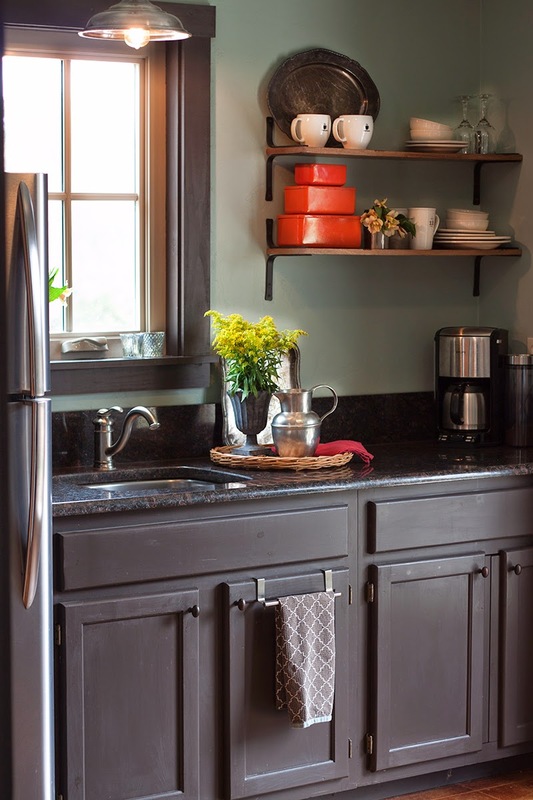 Kitchen is equipped with full sized fridge, coffee maker and microwave. 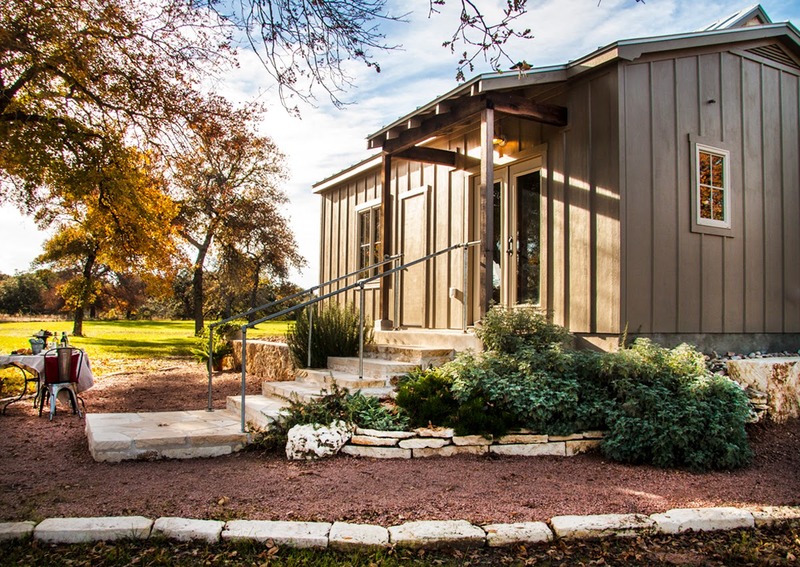 Situated near the convergence of two creeks, you’ll enjoy a nearly year round breeze.